*As a kid I watched a futuristic TV show about a pilot who was in a horrible crash, but re-built by doctors using wires and steel and all those gizmos that sound like the assembly line at the GM plant. It gave him super-duper strength via nuclear-powered limbs. His name was Steve Austin. He was the Six Million Dollar Man. Has nothing to do with anything really. Other than the fact that I thought about it while realizing that Brandon Carr was finally evolving into the $50 Million Man. 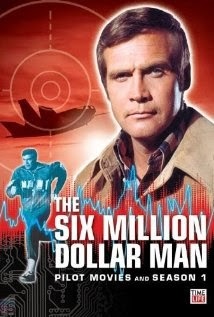 In today's inflated market, though, I'm thinking the sequel would be the Six Billion Dollar Man. *After leading their teams to the LCS, Jim Leyland out as Tigers' manager and Don Mattingly iffy returning for the Dodgers. You'd think Ron Washington should be on the hot seat, but you'd be wrong. 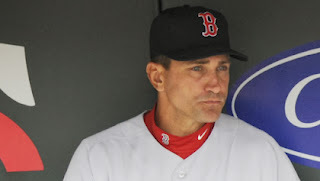 This year the team he was given by GM Jon Daniels - with Lance Berkman hitting third - actually overachieved. And his body of work the last five years? Win totals of 87, 90, 96, 93 and 91 with one tiebreaker game, three playoff appearances, two trips to the World Series and an almost championship. Nelson Cruz catches that ball in St. Louis in Game 6 and you're even considering canning Wash are you? *Let's be politically correct and hyper-sensitive and afraid to offend anyone at anytime and let's, at all cost, put an end to bullying, but ... when on the football field all bets are off. Aledo 91, Western Hills 0. I see nothing wrong with Aledo's side. We've all had our asses kicked at one time or another and hopefully we got better because of it. It's called a "life lesson." I just fear we're about to get the poor Western Hills kids appearing on Good Morning America and painted as poor, try-hard kids who were bullied. America has gone softer than Hugh Hefner without his Viagra. *Probably just an aberration, but in last night's pre-season loss to the Rockets Dirk Nowitzki was a defensive enforcer. You heard me. Four blocked shots and an ejection for a flagrant foul after knocking Omri Casspi to the court. Wouldn't it be weird if, in his twilight years, Dirk transitioned from one of the NBA's all-time best scorers into ... Chris Dudley. *Giants-Vikings was the worst NFL game since way back on, well, actually Sunday afternoon when the Cowboys survived the Eagles. And it's going to get worse before it gets better. Thursday night's game? Panthers at Buccaneers. *The man on your right is assured of getting hugged, oh, about 90 times in 2014. Tim Bogar, welcome to the dugout seat next to Ron Washington. *Y'all know how I feel about Tony Romo. I'm a Romo Homo. I stubbornly believe he's a Top 10 quarterback that possesses both the skill to win a Super Bowl and the fragile psyche to make inexplicably horrible decisions at key times. That said, I'm troubled by him demonstratively calling out his teammates. Terrance Williams ran the wrong route against the Giants. Now last Sunday Phillip Tanner ran his defender into Tony's flight path for a pick. Truth. Don't doubt it for a second. But you don't see Peyton Manning going all palms-up-what-the-what?! while coming off the field. The Cowboys have a chance to make the playoffs this season in a diluted division. But No. 9 needs to lead with his arm, not by pointing fingers. *Another story that will dent your trust in the police: 13-year Fort Worth veteran office Antoine Williams conducted a drug raid, and stole a pair of Air Jordans in the process. *I don't agree with the old adage of "Never hit a woman." What if she's hitting you ... with a crowbar? What if she's about to stab your Dad? What if she's a Patriots' fan that comes at you all tough and ... Okay, maybe she didn't deserve to be decked by a right cross to the lipstick. But we shouldn't be surprised. The hitter is a 38-year-old bartender who spent time in prison in the '90s for stabbing a teenager. Solid citizen. *Today? Receiving our first order of beer at Pizza Buzz. You can almost taste our opening can't you? Don't be a stranger. Completely agree Richie, people need to quit teaching their kids that they'll get a trophy just for showing up and not putting forth any effort. There are winners and losers in sports and in life for that matter and the quicker parents understand that the better. A parent putting their child through that is just ridiculous. I too agree with you on all things Rome, but I have to disagree with you on him calling out Tanner. How many times did you see Aikman barking at his offensive line, or anyone for that matter, who screwed up. everyone criticized Romo for not being a leader, and now, he finally steps up, and calls out someone who screwed up, and everyone is jumping him. I am happy to see Romo finally taking some charge, and holding people accountable. Not every interception he throws needs to fall on him. I agree 100%. Let him be a leader. Rookies especially need to be put in their place. If you want the ball you better do it right. If you are a fringe player like Tanner who isn't talented to be on 90% of the teams in this league then you need to called out so you don't screw it up next time. After listening and reading over and over about how Romo wasn't a team leader or at least not a vocal one, it's nice to seem him prove all the so called experts wrong. I don't care if he gets in their face on TV or in the locker room as long as he gets his point across. I saw Jimmy go nuts on the O-line in Arizona and every word was broadcast over the air. The next day the media called Jimmy passionate. So why not Tony? This Aledo stuff is nuts. They took out their starters and kept the clock running. It's not their fault the game was such a mismatch. And, I don't hear the WH coach complaining, just some whiny parent. I guess WH could have quit if they felt is was that bad. Nobody made them keep playing other than the fact they are a football team and those kids did the best they could. Back in my day (yeah, I'm old), we got beat 74-0 and the opposing team kept in their starters the whole game and we're putting up every point they could. Coaches told us to shake it off and get ready for the next game. Which we won. Can't go a day without some fat, bald, gun toting, Tea Party loving, right wing lunatic add his 2 cents worth and make a sports story political and start labeling people. @Anon 1053 I always find it humorous when I read the hypocritical nature of some idiot's comments. Anon 10:53......what were you saying about labeling people? Guess it only goes one way, but I already knew that......hypocrite. Since Pizza Buzz is taking its first order today, how come the website is not working??? Is this just a glimpse into how the whole operation will be run?? You should have your website up and running PRIOR to the opening of the storefront so that you could inform your possible clientele about your menu and location....cmon Richie....your IT guy needs to get with it or you need to fire him and get another. No where in the above did Richie say Pizza Buzz was opening today. Come on Dave, have your IT guy read more slowly to you. "Receiving our first order of beer at Pizza Buzz." Pay attention, Dave. I know you're ready to bust Richie's balls on the smallest things but on this one you're flat-out wrong. Just because you can't see his website doesn't mean it doesn't exist. Lots of companies publish their sites under alternative names and for a select audience for testing and to keep 'bogus' orders from flooding their backend systems before the actual launch date. Learn a little about IT before you go slamming. Normally Richie we see eye to eye. But consider this regarding Romo...in the days of Wade, no player was ever at fault...it was always on Wade and the team became lazy. Now people are becoming accountable. Only its not coming from robo-coach but from the player coach. I think the team respects and follows his lead for it. Look how its worked for Dez. 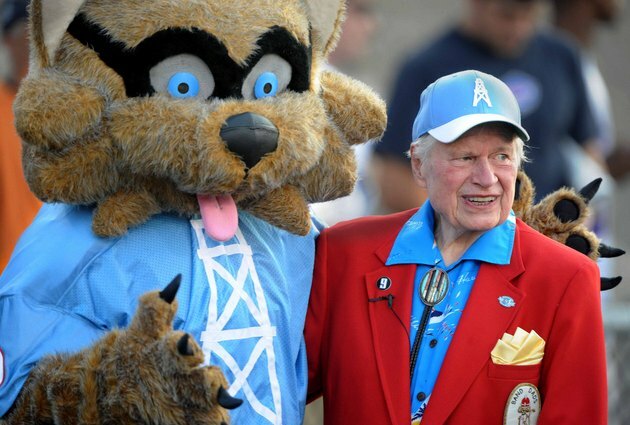 Richie it is horrible taste to have Bud Adams as your Not picture today. Low class all the way. Perhaps you better start working on your apology. Or is it anything for publicity, pure Miley Cyrus. pretty meh whitts end today if i do say so myself. I guess you could write that Jim Leyland is OUT. Truth is he retired. Different meaning. The hot loses points because it is a selfy. Selfys are not hot. Just because the camera doesn't pan to Peyton Manning chewing out his teammates doesn't mean it doesn't happen. There's a pretty funny video on youtube of him getting into an argument with an offensive lineman. A lot of the problems people had with Romo were his lack of leadership, and they wanted him to be more like Aikman. More specifically they wanted him to yell at his teammates and be the "rah-rah" guy. He can't control the cameras, and when they're going to zoom in on him. You also see him going up and patting guys on the shoulder and telling them good job. It goes both ways.